Red Dead Redemption 2 was just the tipping point. There is more to this sudden change of heart which has been dormant for at least three years. Like everyone else in the world, I’ve been playing Rockstar?s newest game, Red Dead Redemption 2. Only after playing for roughly 10 hours, I can tell this is a very special game. It?s a cliché to say it, but it truly is one of the most immersive and impressive games I have ever played. So, why am I so turned off by playing it? The simple answer is that it?s a commitment. Playing for an hour isn?t enough time to even make a dent in what would be my new life as a cowboy. 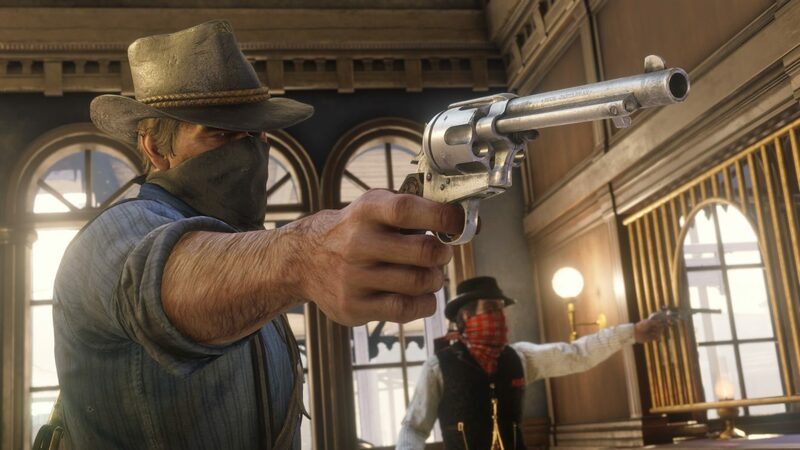 If I put a couple hours into a game, I want to feel like I?ve progressed: instead, it?s a slog any time I?ve played Red Dead Redemption 2 and even if I am pushing forward, it hardly feels like it. I don?t want this to be seen as some negative bashing of Red Dead Redemption 2. By no means do I think the many systems this game features bogs down the experience; in fact, I think it only enhances it. Honestly, I?ll probably finish it, too: I am so intrigued by the game?s world and the many interactions that the Wild West has for me that I?ll be distracted enough to not realize how much I?m actually playing. With that being said, that?s the simple answer for why I think the game won’t stick with me, because of its demanding length. However, this notion didn?t begin with Red Dead Redemption 2. Let?s rewind a few years back: it?s 2015 and what would become one of the greatest games of the PS4/Xbox One generation was about to hit store shelves. The Witcher 3: Wild Hunt put me in a similar situation, as I poured about 60 hours into that giant fantasy RPG and maybe made it halfway through. I was at a time in my life where I had that time but, alas, I never finished it. Other great games were coming out that year like Metal Gear Solid V: The Phantom Pain, Undertale, and Until Dawn ? just to name a few ? and it fell by the wayside. Eventually I picked it back up, but I forgot how to play the game and I was too far in to really re-learn everything. Restarting wasn?t an option at that point, so I just gave it up and decided to revisit it another day. That day has yet to come. Again, that doesn?t mean I think The Witcher 3: Wild Hunt is a bad game. Quite the contrary, I do think it is one of the best games of the current console generation. Every choice feels like it matters, it?s absolutely gorgeous graphically, and it has many compelling characters. I was just in too deep to really relearn the controls and I had forgotten just about everything that happened prior to that particular event. 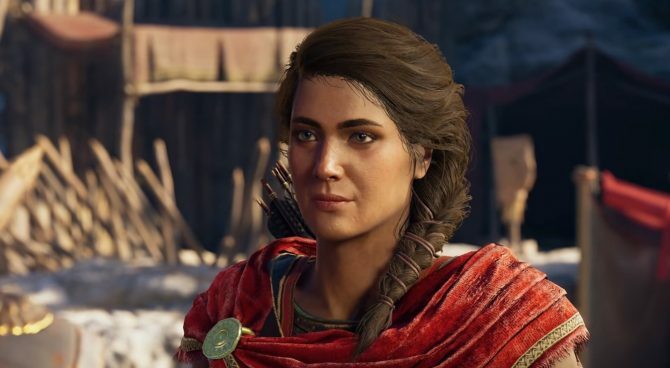 This same exact predicament is happening to me now with Assassin?s Creed Odyssey. 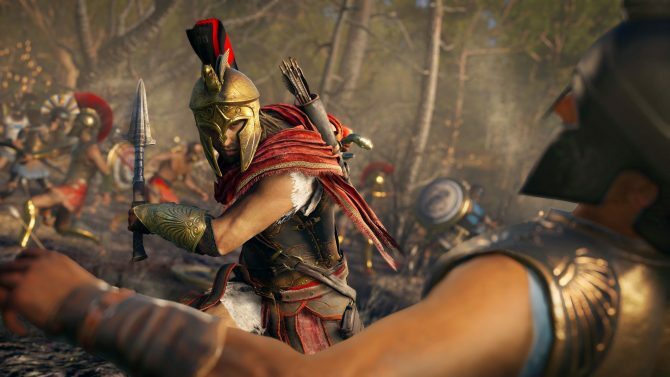 Ubisoft?s latest iteration of its popular franchise was one of my most anticipated titles this year; Assassin?s Creed Origins was so great, I could not wait to play the follow-up. After a few hours of playing alongside an ever-growing backlog calling my name, it became apparent that I wasn?t going to have the time to play this game. 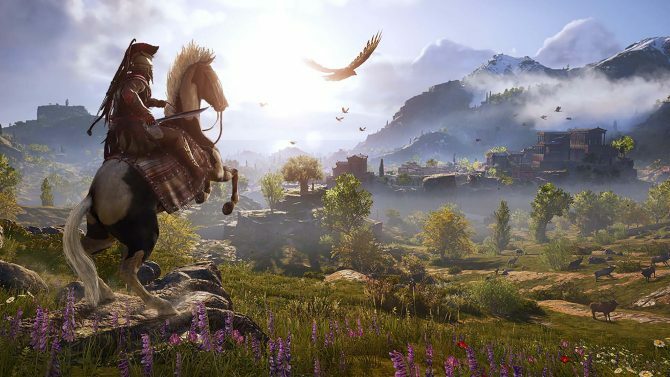 Red Dead Redemption 2, Call of Duty: Black Ops 4, and Starlink: Battle for Atlas were just a few games I knew would draw me away from the new Assassin?s Creed. Once again, another presumably great game falling by the wayside. Now, I may have missed completing some of the best games this generation has to offer. However, I would also argue that not spending over 30 or 40 hours to complete a few of the biggest games of their respective years gave me the time to complete some shorter and focused titles that could be deemed just as great, if not better. An example I could give for this year is with Dragon Ball FighterZ and Monster Hunter: World. Both games are arguably some of the best games of the year and are on opposite sides of the spectrum when it comes to time commitment. Monster Hunter: World may be a 100+ hour experience overall, with each session being at least 45 minutes to an hour. On the other hand, Dragon Ball FighterZ may still be that 100+ hour experience, but that session time can be as low as 10 minutes. Within those 45 minutes to an hour in Monster Hunter: World, maybe I kill a monster for materials to make a single piece of armor that will get replaced, leaving me mildly satisfied. In those 10 minutes with Dragon Ball FighterZ, I could have gotten in two matches, win those matches, and walk away feeling just satisfied, if not more. That means there is a chance that I could commit less time to a game and feel like I?ve accomplished more. This was in late January as well, which meant games like Celeste and Into the Breach were releasing or had already released, giving me time to delve into those rather than dipping even more time into something I may end up being lukewarm on. This time commitment argument and the fear of forgetting any and every piece of a game after taking a brief hiatus is just part of this realization. Another facet is that my taste in games may have just changed. For the longest time, I praised games like Mass Effect and The Elder Scrolls V: Skyrim partially due to how much content each game had. Now, I?ve switched from favoring those long single-player experiences to shorter multiplayer experiences. The prime example of this is my newfound love with Tom Clancy?s Rainbow Six Siege. 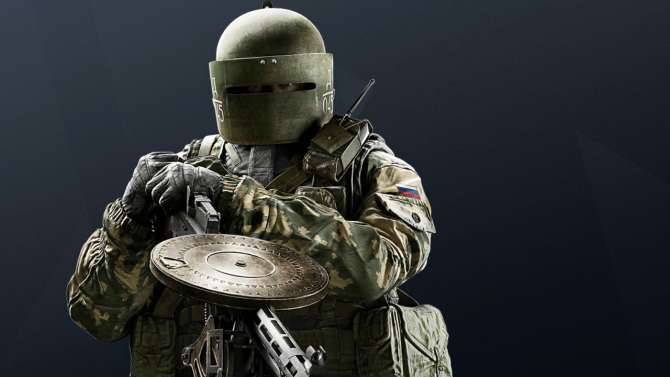 I know this may seem presumptuous but if I were to name my top ten games of 2018, Rainbow Six Siege would be in the top three. That doesn?t really make sense since it came out in 2015 but on a personal level, it is a game that really changed how I approach playing video games. Each match is fairly short and despite the outcome, I feel like I learn something new or improved my play with every match. This has been my big gaming dilemma of 2018. It is a switch I never thought I would make: despite how great some of these larger games are, like Red Dead Redemption 2 and Assassin?s Creed Odyssey, it?s getting harder for me to put aside time to play these types of games in general. 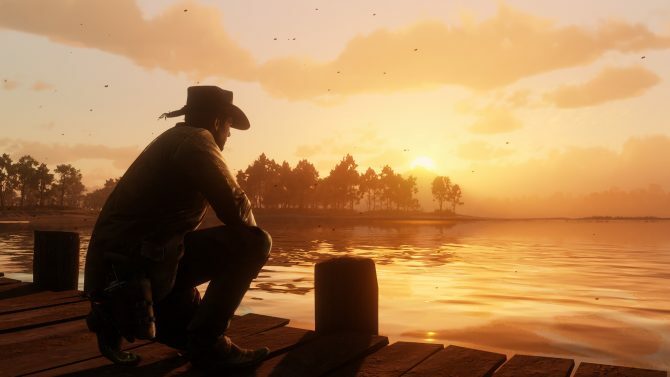 This change has been a long time coming for me, and Rockstar’s cowboy adventure was the tipping point for my realization that long-form video game content just isn’t for me. I want to enjoy every facet of life, and although video games are a part of that, I want to be able to explore more than just my living room.